Identification status: 100% to the species. Vouchers are overwhelming determined only to the species, and the 2005 Vascular Flora of Arizona did not recognize any of the subspecies. Since the claimed separation of the subspecies in various floras seems unsatisfying, for now I'll follow the latest Arizona flora and ignore the subspecies until I see some evidence that the variations merit subspecies recognition. The following information is for those who want to know about the subspecies here. There are 77 vouchers in Coconino County; 61 (79%) are determined only to the species. Nine vouchers are determined as ssp. densa; four as ssp. vera; two as ssp. austromontana; and one as ssp. prostrata. 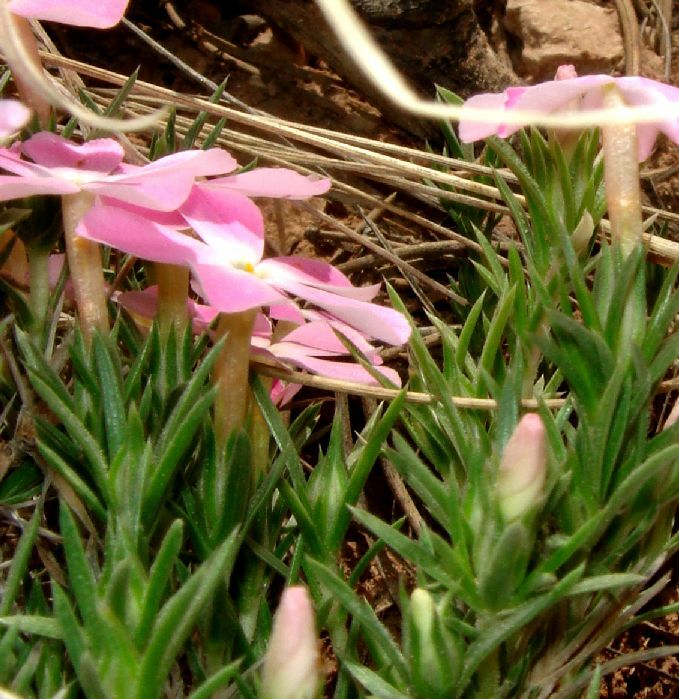 The 1987 Grand Canyon Flora gives all four of the above subspecies, but it appears that the single voucher for ssp. prostrata from Toroweap is now determined as ssp. austromontana. Subspecies vera is not recognized by USDA Plants, being subsumed into ssp. austromontana (of these two, only ssp. vera appears in Kearney and Peebles). This separation seems a somewhat arbitrary split of a continuous distribution, but that may or may not be the actual case. Interestingly, ssp. densa is subsumed into ssp. austromontana in the Utah Flora. Vouchers for sspp. austromontana and vera are from Hermit Trail, Kaibab Trail, Toroweap Point, North Rim entrance station, and Clear Creek. Vouchers for ssp. densa are from North Kaibab, Hermit Basin, Marble Flats North Rim, Highway between Grand Canyon Village and Lipan Point. There is no clear geographic distinction between those two data sets. That lack of geographic distinction, and the apparent arbitrary split of a continuous variation, makes me skeptical that there exists more than a single taxonomic entity in at least this area of the Grand Canyon. 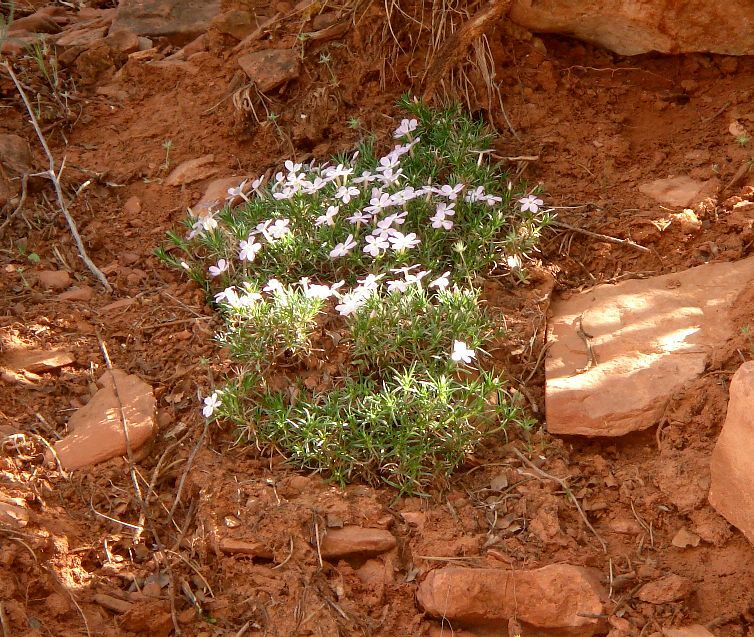 However, since I am not an expert in the Grand Canyon flora, and haven't seen a lot of these plants, I reserve the right to change my mind after seeing more of these plants. 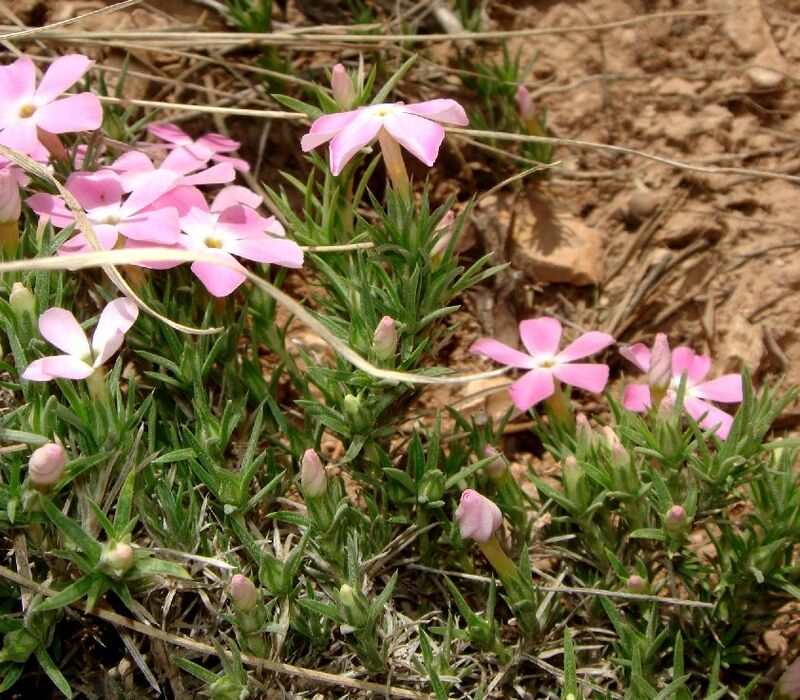 From a SEINet search on 13 May 2008, there are 35 vouchers of this species from the Coconino County portion of the Grand Canyon. The nearest are at: Highway between Grand Canyon Village and Lipan Point; Hermit Trail; and Kaibab Trail. Note that there may be additional vouchers at other herbaria not available through SEINet. First occurrence on Bright Angel Trail: mile 0.64, elevation 6435 feet (1961 m). 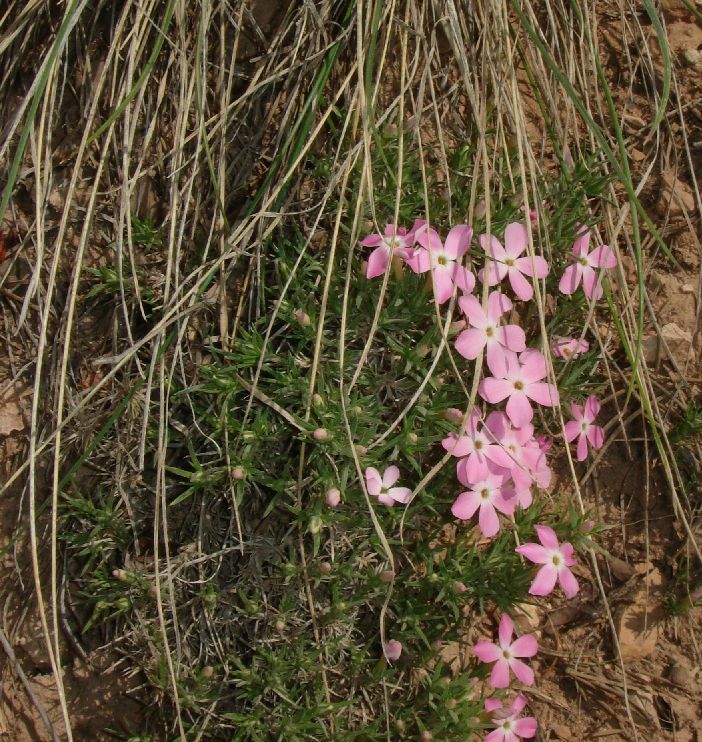 Number of plants along Trail: at least 30 plants were found in at least 9 different locations in May 2008.